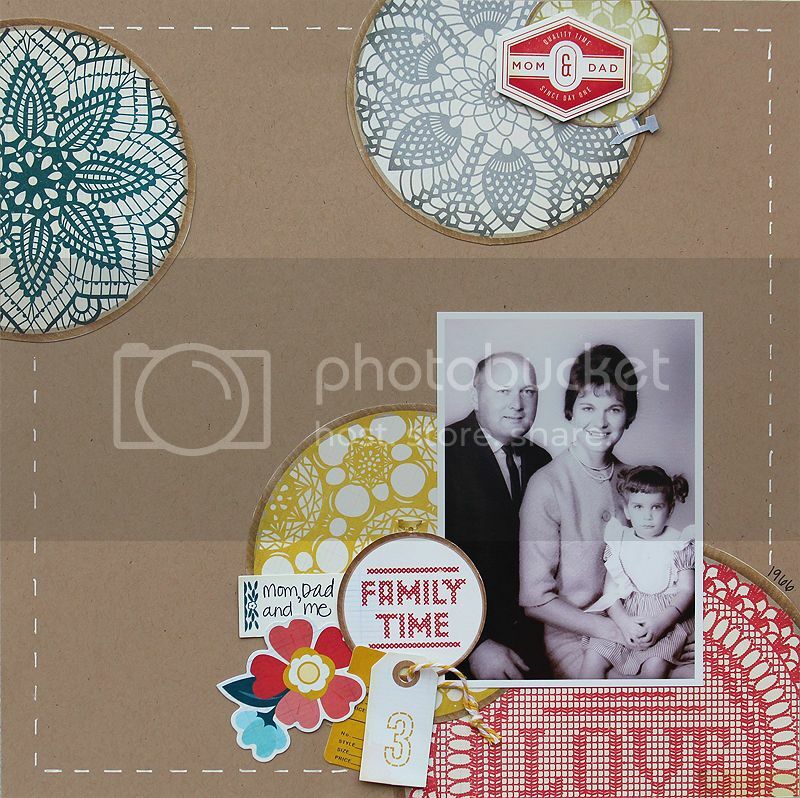 Here's a layout I made as a sample for Scrapbook Daisies using the Close Knit collection from Crate Paper. I did a little bit of fussy cutting, and then added some "stitching" with a white Signo pen. Very nice layout. 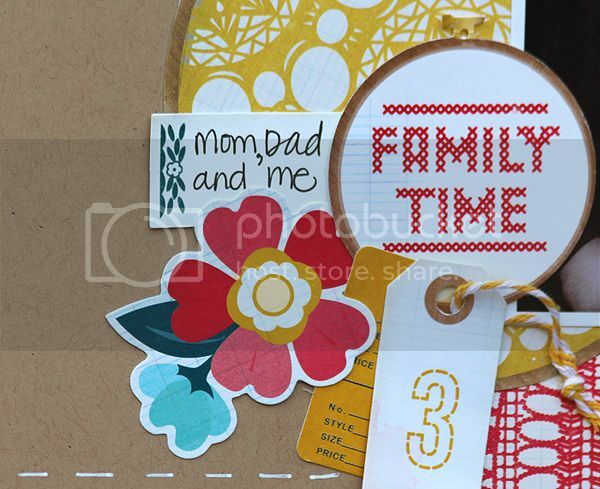 Love the doilies colors on the neutral background. This is awesome Mary Ann! Love how you cut out the large doily elements! So cool! Great layout! I have a hard time using circles lately but this is inspiring. Very pretty and terrific design! Love the design and love your website. Nicely done! Love this Mary Ann!! Those circles look so awesome!